Incoming Interstellar Visitor: Comet, Asteroid, or Advanced Alien Ship? Astronomers spotted for the first time an unusual space object they believe is a comet that does not orbit the sun. According to the Minor Planet Center further observations are needed to confirm but this space object may be the first clear case of an interstellar comet or could it be an object not of nature? Comet 96P does this every 5.24 years. It is a short period comet that experiences frequent blasts of solar heat. During a similar flyby in 2002, SOHO observed two tiny fragments ahead of the main nucleus. This means the comet may be actively evolving, and it could shed more pieces during this week’s dive. This is no ordinary comet. 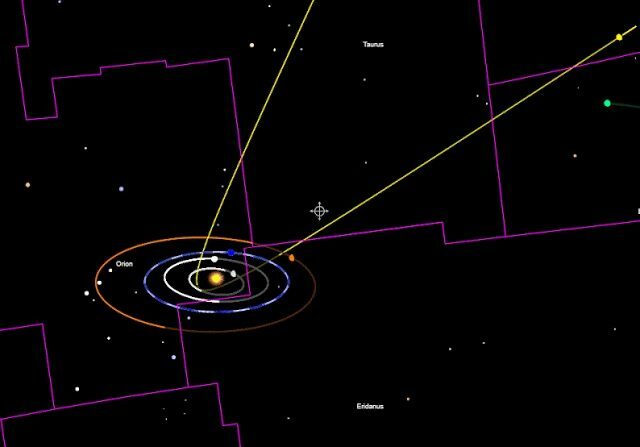 Its orbit connects it with a bewildering menagerie of other things in the solar system: Comet 96P is linked to as many as three meteor showers (the Daytime Arietids, Southern Delta Aquarids, and Quadrantids), two families of sungrazing comets, and an asteroid (2003 EH1). Millennia ago, the whole ensemble was probably part of the same parent object that exploded or fell apart. Does this comet even belong to our own solar system? A scientific study published in 2008 found that 96P/Machholz has “extremely anomalous molecular abundances.” Chemically speaking, it’s not like other comets that have been studied in the same way. Perhaps it comes from another star system, flung into space and later captured by our own sun’s gravity. 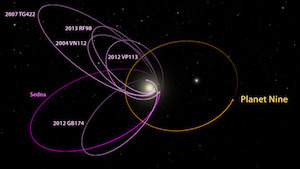 As the astronomers never have seen a comet that did not come from somewhere within the solar system, either the Oort Cloud or the Kuiper Belt they believe, due to the highly eccentric orbit of the object, that it came from beyond the solar system, from the direction of the star Vega, in the constellation Lyra. The space object named as Comet C.2017 U1 has a diameter of about 160 meters and was moving at an enormous speed of 26 km per second! The object came within 38,000,000 km of our sun, passing the Earth on October 14, 2017 at a distance of 24,000,000 km, which is about half the distance to Mars, before the Sun’s gravity hurled it back outward. Then according to the Minor Planet Center, on October 25, 2017 in very deep stacked images taken at the Very Large Telescope (VLT) the object was found to show no presence whatsoever of any cometary nature. The object was renamed A/2017 U1, becoming the first comet to ever be re-designated as an asteroid. At first it was an interstellar comet, now it is an asteroid, with other words, they don’t know the origin of the object. You know, everything about this space object which visited our solar system for the first time is strange and we may wonder whether the object, which seems to follow its own path, is not a large icy rock but an interstellar spacecraft piloted by a highly advanced alien race coming from a place near the star Vega, in the constellation Lyra.